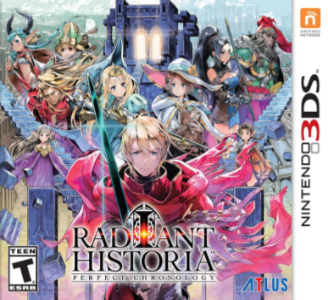 Radiant Historia: Perfect Chronology is a role-playing game developed and published by Atlus. It is a Nintendo 3DS port of the original Nintendo DS game with additional story content and features such as voice acting, new visuals and music. Radiant Historia: Perfect Chronology seems to run without issue when played on Citra. On modest hardware, the game sometimes achieves full but mostly runs at a moderate speed. Some effects performed by the game may cause more drastic slowdowns (“prediction” scenes, overworld weather), but otherwise shows no major errors in its graphics, audio or general gameplay.